Get into the Spirit of the Season with Happy Days Bouquet! 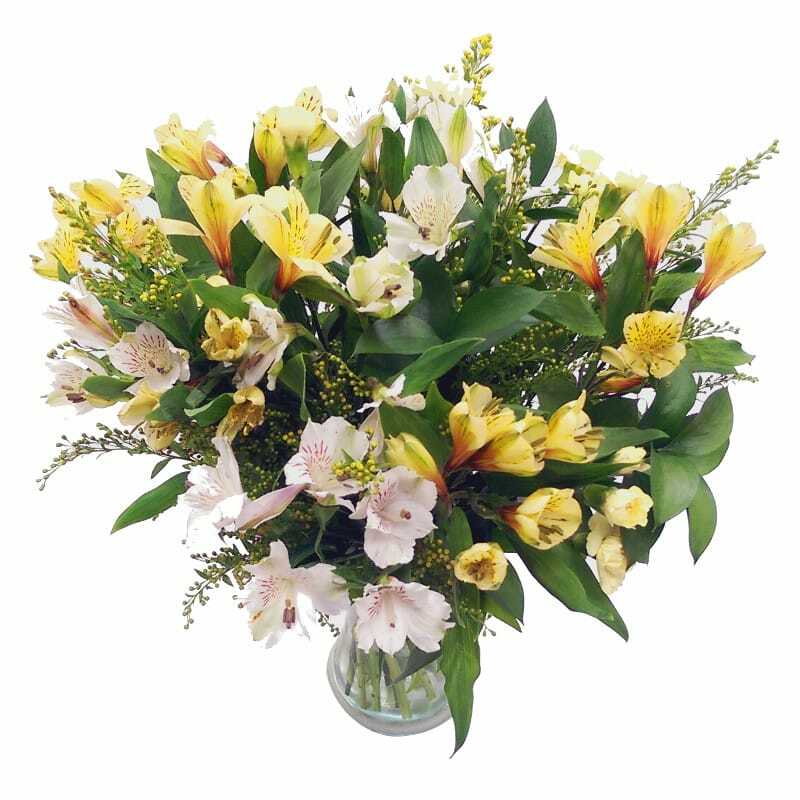 The Happy Days Bouquet has been expertly arranged by our team of professional florists using only the freshest alstroemeria, solidaster and spray carnations. This wonderful arrangement showcases the finest lemon, yellow and white tones which are set against a complementary backdrop of lush greenery. Whether you want to send flowers as a gift or have them delivered to your own home to brighten up the place, the Happy Days Bouquet will not disappoint. This breath-taking and extravagant bouquet will command attention and admiration wherever it goes. We offer free standard next day delivery on this bouquet for a price of just £34.99, ensuring you get phenomenally good value for money. Your fresh Happy Days Bouquet bouquet can be delivered 7 days a week throughout the UK in our special delivery box to prevent damage while in transit, so it arrives in excellent condition when you need it to! For that extra special personal touch, why not add a Handwritten Greetings Card, a delicious box of Lily O'Briens Chocolates, a chic glass vase or an adorable teddy to accompany your beautiful fresh hand-tied Happy Days Bouquet bouquet. Our large selection of arrangements containing alstroemeria, carnations and an array of different gift sets to suit every occasion.